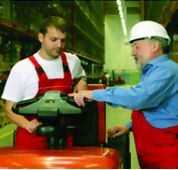 Improved productivity – Operators that receive ongoing training are more efficient at operating your forklifts. This efficiency translates into more productive employees. Improved morale and efficiency gained from training will increase how much work each of your operators can accomplish in a day, and that improves your bottom line.